Happy Friday! My goodness, it’s been a while since I’ve done a Five Friday Favorites post. In general, I hope you will all bear with me while I launch my online classes. Everything seems to be running smoothly, but all the technical stuff was way more than I had imagined and my poor blog has not had as much attention as usual. 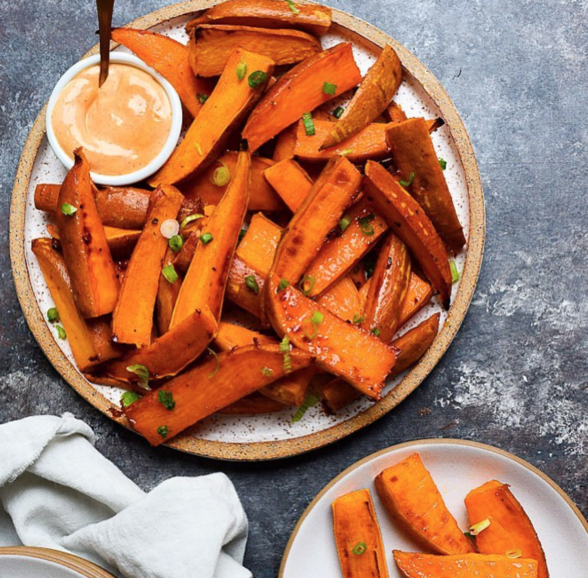 Today (Friday) from 1:00 to 2:00 pm I am at Williams-Sonoma, South Coast Plaza in Costa Mesa doing a spring cooking demonstration in conjunction with C Magazine. Come stop by if you’re in the area! Next Thursday I am speaking at Beauty Counter’s Leadership Summit and next Friday I am speaking at the Galveston Chamber of Commerce’s annual women’s conference. If you are at either event, please find me to say hi! Reusable bags have come a long way. They are essential for farmers market trips and grocery shopping, especially since single-use plastic bags have been banned in California and grocery stores now charge for use of paper bags, but also because they are more durable, can carry more than the average grocery bag and have a low impact on the environment. I use mine for all sorts of things but I stepped up my bag game when I found these Millie Lottie bags. Made of super durable canvas with a scorch-proof, wipeable lining, these are perfect for carrying a hot-out-of-the-oven casserole to Thanksgiving dinner, bringing appetizers to the Hollywood Bowl or a picnic lunch on the beach. They come with (or without) a beautiful cutting board that fits perfectly into the bottom and is great for stability, elastic pockets for wine bottles or salad dressing and are washable. My favorite part about them is that they are stylish, modern and handmade in San Francisco by a women-run company. 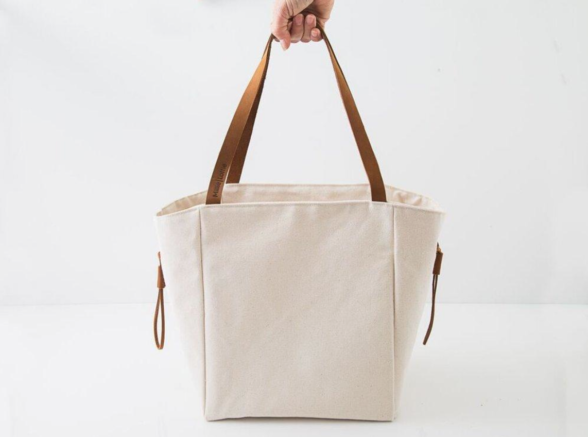 I have the Etta tote (pictured here), but they have lots of other sizes and shapes. I am so excited to announce that, after a successful launch with my trial class, I am offering my cooking classes online! These are great for anyone who is not able to make it to my in-person private classes but still wants the experience, information, and recipes for each monthly class I teach. I film the exact same content that I teach in my classes, I even tell the same jokes ;). Like I tell my students, my recipes are vehicles for teaching formulas, techniques, nutrition information and strategies. My classes are so much more than 5 recipes. 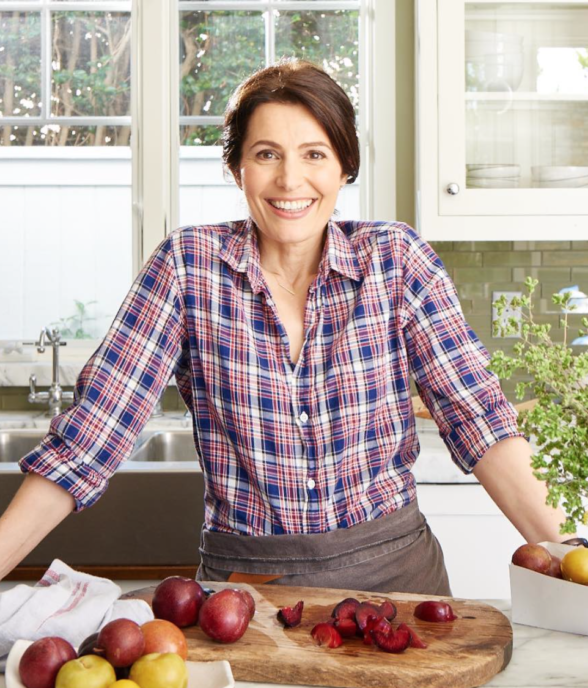 An all-access subscription-based pass will be available, at $17/month, and will include a full length online cooking video, five exclusive recipes, access to my private Facebook group and live monthly webinars with me. Or to purchase one month, it’s $27. I normally charge $140/person for my classes, so this is a great deal. 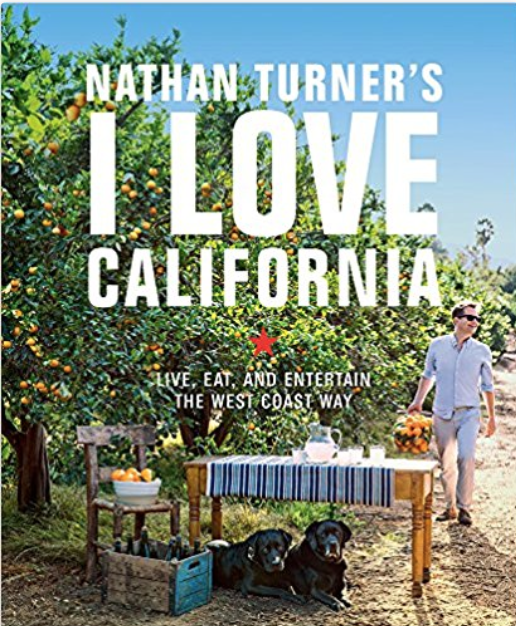 I think this would be a great gift for anyone who loves to cook (Mother’s Day is coming up…wink wink). Who doesn’t love the golden state?! Perfect weather, beautiful geography and some of the best food you ever tasted. My talented friend and designer, Nathan Turner, wrote a stunning book as an ode to our magical state. Not only is this book beautifully photographed and stylized, it’s also full of delicious recipes (including one for a roasted tomato and feta salad that I plan on featuring on my blog soon…stay tuned!) and entertaining secrets for an effortless and chic soiree. I adore Nathan and love his style. This book is a great gift! Amazon link. I love earthy, handmade tableware and have started collecting them since I bought my first heath ceramics pieces many years ago. There is something so comforting about eating soup out of a handmade bowl. I love using them in food photography and my assistant, Lauren, discovered this wonderful potter on Etsy, SoftEarthCeramics. The shop owner, Emalee, custom made a beautiful speckled white bowl and plate that Lauren gave me for Christmas and I have loved them so much I wanted to share them with you. She doesn’t have a lot of items in her store, but is always adding new pieces and can custom make pretty much anything you ask her to. Tofu is a food I don’t eat regularly, perhaps once a month. But I do enjoy it when prepared properly. I like to press out the moisture from the tofu so that it is primed to absorb flavors. The typical way I do this is by wrapping the blocks in paper towel and weighing them down with a heavy skillet or pot. I taught a tofu recipe in my April classes and I discovered this great tofu press through a vegan friend. 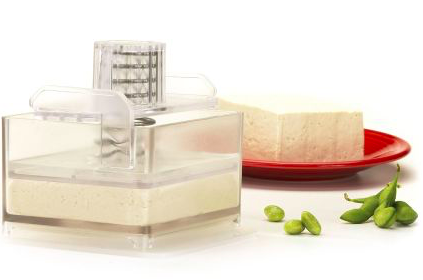 You place the block of tofu in the container and insert the press which stays locked in to continue to press the tofu and resulting moisture. It really did a great job of this. It’s a little expensive ($39.95), so it’s only worth it if you make tofu often. Although I could see using it for eggplant and spinach. You can find it for the best price on surlatable.com.